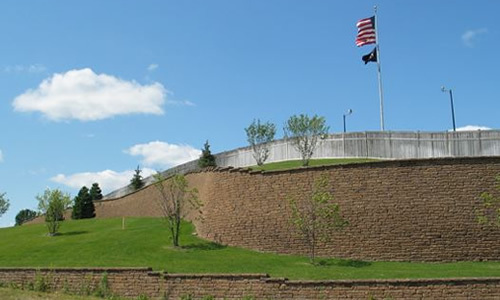 As one of the most experienced retaining wall companies in the upper Midwest, we can confidently install natural stone, boulder and modular block retaining walls in a variety of landscapes. 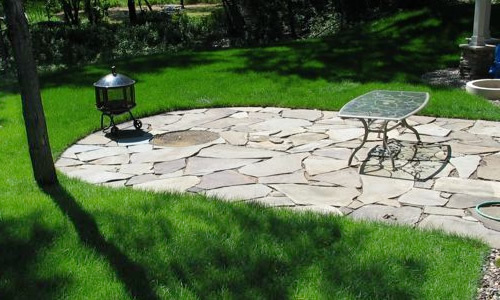 We offer on-site design and planning for a complete and professional landscape, retaining wall or paver installation. Do you have a large project or a wall over four feet tall? We can get your wall engineered, acquire the permits, and lay out every step of the project to make it smooth and easy to understand. 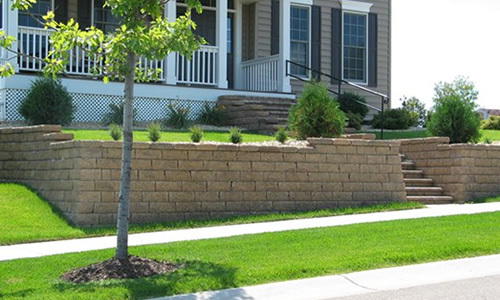 We have built both modular block and boulder walls over twenty feet tall in many communities around the Twin Cities. 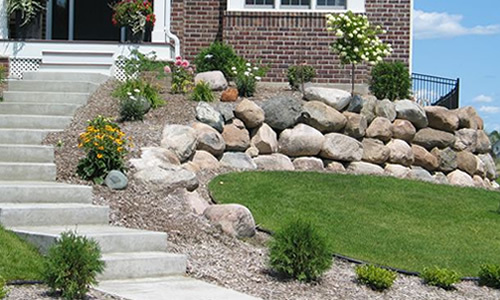 Many landscape and cement contractors take the typical “stack the stones" approach. At Genadek, we realize there is much more to it than that. 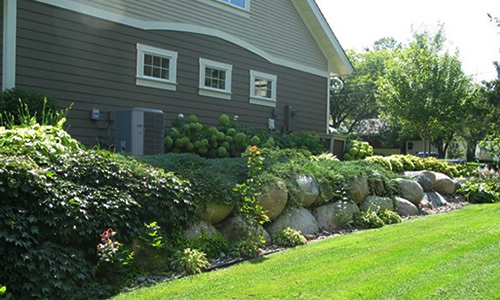 When designing and installing a retaining wall, the end product has to be beautiful, but it also has to be built to last. Every single one of our project leaders has taken classes on soil dynamics and geo-grid reinforcement techniques in retaining wall applications. Furthermore, we work extensively with a licensed geo-technician and civil engineer that provides us with stamped, certified plans specifically designed for each site. We not only install new retaining walls, but we also repair existing retaining walls that may be falling, damaged or both. Every job is done with courtesy and integrity; It's the only way we know how to do business. If our 20 years in the business has taught us anything, it's that quality work speaks for itself. When the job begins, during the job and after – your complete satisfaction is top priority.